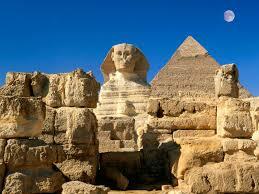 Egypt and Arabia are two distinctly different places. Arabia, or the Arabian peninsula, is the land of the Arabs. The father of the Egyptians is Mizraim, son of Ham, son of Noah. 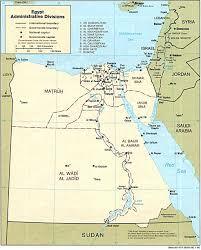 The Egyptians settled in the region of the Nile river and not in Arabia. Egypt is very famous in ancient history and this history dwarfs the history of Arabia, which was largely a nomadic region. Why would a people with such a prominent and dominant history want to continue to yield to the influence of Arabia? Perhaps in Egypt’s sub-conscious mind it is aware that it really is not Arab or Muslim, and perhaps this partly explains why the present ruler Abdal Fatah al-Sisi does not trust the Muslim Brotherhood. Sisi has been witness over the years to Islamists causing the Egyptian people much trouble. Sisi played a significant role in removing the very Islamic Mohamed Morsi from power and has greatly resisted the extreme elements of Islam. Interestingly, President Obama was opposed to the removal of the extreme Muslim Morsi. Under President Sisi, Egypt has ignored American pressure and has forged their own national future apart from Islamic extremism. President Sisi seems to think of himself as more Egyptian than Muslim, and I salute him for this. The less Muslim Egypt becomes, the better off it will be. President Sisi has also co-operated somewhat with Israel, instead of adding to the constant stream of hatred and vitriol spewed out all around from other Muslim leaders and nations, such as Turkey’s Erdogan. Islam is a renegade religion that does not respect free-will. It seeks to impose Islamic Sharia Law by all means available including armed force. Islam careth not for the inhabitants of the earth and is willing to shed as much blood as is considered necessary. Islam loves to terrify people into submission through acts such as beheadings. Any wise man who is not blinded can see, that Allah is not the kind of god you would want to serve. The god Allah hates the Jewish people. If Allah truly were the real God and if Allah really created all men and women, then he would not hate the Jewish people, for the Jews are also created in the image and likeness of Almighty God. Perhaps Egypt has begun to see the error of Islam. Perhaps Egypt is moving somewhat away from the gods of Arabia and a little more in the direction of the true and living God YaHVeH: blessed be His name. I repeat: Egypt is not Arab and it should not be Muslim.